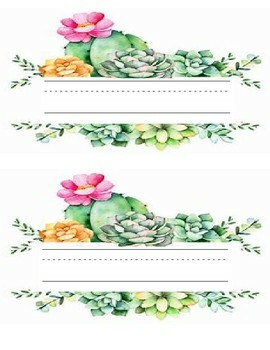 Anyone else OBSESSED with the new succulent theme that's making the rounds?! I am! This editable meet the teacher letter and name tags will pair perfectly with your room. 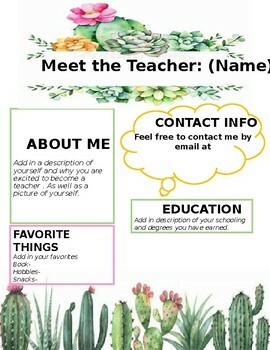 This editable template will be a great addition to meet the teacher open houses or you can even send them home during the first week of school. The meet the teacher letter has places that will allow you to provide information about yourself to both the parents and the students. They will form stronger connections and feel more comfortable with you this way.